Bikes & Coffee becomes a thing in 2015. I was getting more serious about making it a real business. So I decided to take a Build Institute class, which is an incubator for entrepreneurs. Little did I know this was the decision that would really catapult my idea. I met a ton of other entrepreneurs there, including Jonathan Colo. He wanted to open a cafe with a cycling element, and I wanted to open a bike shop with a cafe element. Sounded too good to be true, right? Right. I think it was an 8 or 12 week class. At the end of the class we had a full-fledged business plan and started developing as a brand. The concept was alive and well and from there we focused on the type of place we wanted to be. 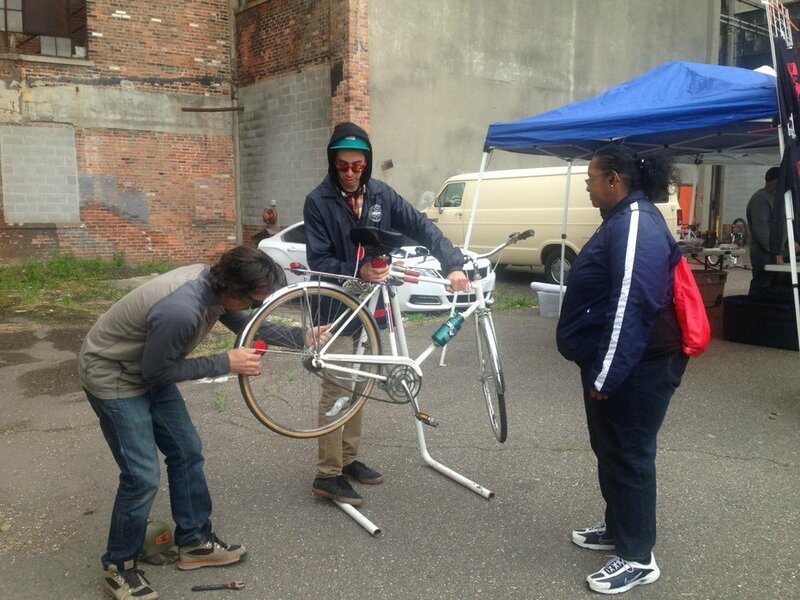 We started to do popups, showing up to Slow Roll and selling cold brew coffee, filling tires with air, and making minor adjustments to bikes. It was a busy year, trying to figure out how to run popups, develop our brand, work full-time and manage a personal life. The year's riding season came and went. I was so busy I barely got to ride. We worked hard through the fall and winter, crafting our business plan and getting to the core of what we wanted the shop to be.